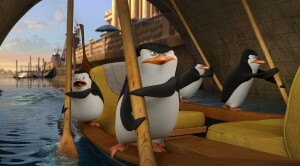 Left to Right: Private (voiced by Christpher Knights), Skipper (voiced by Tom McGrath), Rico, Kowalski (voiced by Chris Miller) in THE PENGUINS OF MADAGASCAR. ©Dreamworks Animations LLC. From the creators of “Madagascar” comes the animated sequel that was also a recent box office hit. 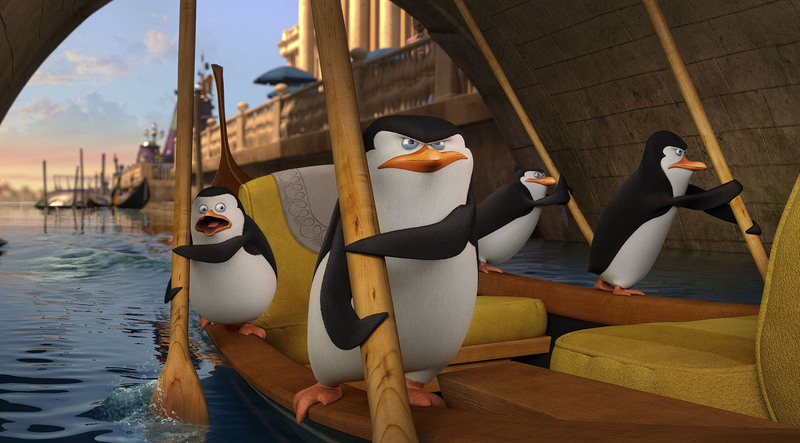 In DreamWorks’ “Penguins of Madagascar,” viewers can enjoy their favorite winged super-spies—Skipper, Kowalski, Rico and Private in an all-new adventure. This time, they join forces with the elite North Wind team to save the world. It’s a globetrotting adventure the whole family can enjoy. The high-flying DreamWorks animated comedy is available now from Twentieth Century Fox Home Entertainment on Blu-ray and DVD. And for a limited time, get two hopping Penguin toys only with the DreamWorks’ “Penguins of Madagascar” Easter DVD and Blu-ray pack, which make perfect gifts for Easter baskets. Directed by Eric Darnell and Simon J. Smith, the animated adventure comedy features the voice talents of John Malkovich (“Crossbones,” “Red 2”), Benedict Cumberbatch (“The Imitation Game”), and Ken Jeong (“The Hangover” movies). Joining them are Tom McGrath, Chris Miller and Christopher Knights, who are reprising their roles as the Penguins from the beloved “Madagascar” franchise. The Blu-ray and DVD feature hours of bonus materials that uncover the covert operations of the hearty penguins, including several exclusive featurettes, a deleted scene, a music video by Pitbull, a dance tutorial by tWitch, and more. The Blu-ray combo includes the Blu-ray disc, showing “The Penguins of Madagascar” in high definition, along with a DVD version and a downloadable digital version so you can play the movie on your handheld electronic devices. 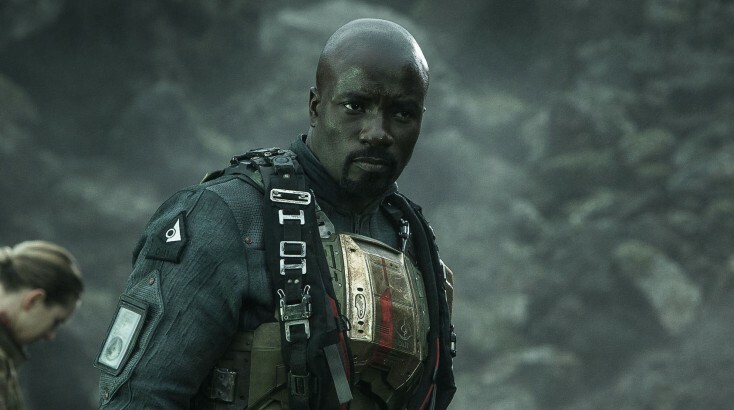 Also now available on home video is “Halo: Nightfall,” which tells the personal story of Jameson Locke, a legendary manhunter and agent with the Office of Naval Intelligence (ONI), Earth’s most powerful and secretive military branch. He and his team are investigating terrorist “chatter” on the distant colony world of Sedra, when they are caught in a horrific biological attack. Led by Locke, ONI agents are forced to coordinate with Randall Aiken, a local commander with a remarkable history and deep-rooted mistrust of ONI. As they unravel a plot that draws them to an ancient, hellish artifact, they will be forced to fight for their survival, question everything, and ultimately choose between their loyalties and their lives. Directed by Sergio Mimica-Gezzan from a script by Paul T. Scheuring, the fantasy adventure stars Christina Chong, Christian Contreras, Luke Neal, Alexander Bhat, Jennie Gruner, Eric Kofi Abrefa, Alexis Rodney. Both the Blu-ray and DVD editions include more than 35 minutes of exclusive behind-the-scenes footage. Viewers of the Blu-ray version also can unlock more than 45 Minutes of second story extras, including highly confidential ONI eyes transmissions to discover more about “Halo: Nightfall,” while the DVD edition has 17 minutes of those extras. ARC Entertainment has released “Something Wicked” on DVD, VOD and digital platforms. Inspired by true events, a young couple seeks to re-build their lives after a disastrous car crash that kills her parents. But secrets from their past threaten to disrupt their budding relationship. A creepy, masked stranger stalks Christine (Shantel VanSanten), while James (John Robinson) experiences freakish encounters that nearly kill him. Christine’s sister-in-law, Susan (Brittany Murphy), a psychiatrist who observes the couple’s deteriorating relationship, sets out to determine what sinister forces are driving the madness. As she digs for answers, she finds out some things are best left unknown. Darin Scott directs this psychological thriller from a screenplay by Joe Colleran. ‘Skiptrace,’ ‘Agatha Raisin, ‘Janet King,’ More on Home Entertainment … plus giveaways!